This stretchy, flexible bowl cover solves the lost (or melted) lid problem, and is designed to be a kitchen multi-tasker, too. 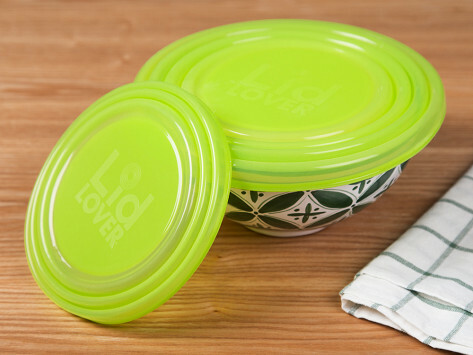 Its microwave- and oven-safe design comes in various sizes to cover bowls, plates, or cups. Use it as a pot holder, or a non-skid surface during food prep. It’s food-safe and BPA-free and, to keep track of the contents, you can label it with a dry erase marker. 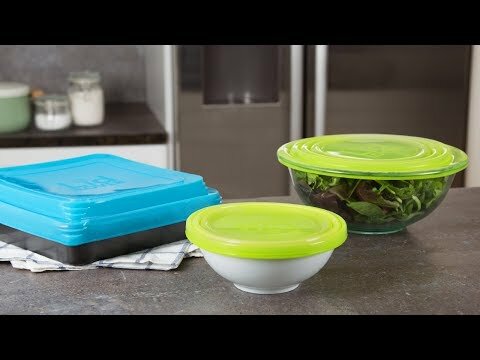 Dimensions: Diameter: Mini: 3.5"; Original: 7", 9"; XL: 12"
I'm a big Tupperware fan but wanted to check these lids out. They are very versatile and have many uses. It fits so many sizes!! I didn’t realize that it fits so many different sizes. Patricia’s solution is a new kitchen essential you’ll use over and over.